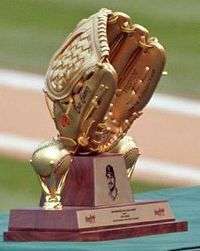 The Rawlings Gold Glove Award, usually referred to as the Gold Glove, is the award given annually to the Major League Baseball players judged to have exhibited superior individual fielding performances at each fielding position in both the National League (NL) and the American League (AL), as voted by the managers and coaches in each league. Managers are not permitted to vote for their own players. Additionally, a sabermetric component provided by Society for American Baseball Research (SABR) accounts for approximately 25 percent of the vote. Eighteen Gold Gloves are awarded each year (with the exception of 1957, 1985 and 2007), one at each of the nine positions in each league. In 1957, the baseball glove manufacturer Rawlings created the Gold Glove Award to commemorate the best fielding performance at each position. The award was created from a glove made from gold lamé-tanned leather and affixed to a walnut base. Initially, only one Gold Glove per position was awarded to the top fielder at each position in Major League Baseball; however, separate awards were given for the National and American Leagues beginning in 1958. In the history of the Gold Glove Award, there have been eleven double-play combinations, or pairs of middle infielders, that have won awards in the same year. Shortstops and second basemen depend upon each other for the majority of double plays. The most common type of double play occurs with a runner on first base and a ground ball hit towards the middle of the infield. The player fielding the ball (generally the shortstop or second baseman) throws to the fielder covering second base, who steps on the base before the runner from first arrives to force that runner out, and then throws the ball to the first baseman to force out the batter for the second out. Mark Belanger won four Gold Gloves with the Baltimore Orioles alongside winning partner Bobby Grich, and Joe Morgan paired with Dave Concepción for four combination wins with the Cincinnati Reds. The most recent teammates to accomplish the feat are Brandon Crawford and Joe Panik, who won with the San Francisco Giants in 2016. Since 1957, there have been five Gold Glove batteries. The pitcher and catcher, collectively known as the battery, are the only two players on the field involved in every pitch. In particular, the pitcher and catcher control the running game with tools such as pickoffs or the strength of the catcher's throwing arm. The first pitcher and catcher on the same team to win Gold Gloves in the same year were Jim Kaat and Earl Battey, with the Minnesota Twins in 1962. 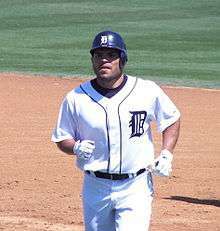 Only two pairs of batterymates have won Gold Gloves together more than once: Iván Rodríguez and Kenny Rogers won with the Texas Rangers in 2000, and again with the Detroit Tigers in 2004 and 2006. Yadier Molina and Adam Wainwright matched the feat, winning in both 2009 and 2013. ↑ From 1957 to 1960, and since 2011, individual awards were specified for left fielder, center fielder, and right fielder. From 1961 to 2010, the prize was presented to three outfielders irrespective of their specific position. 1 2 In 1957, Gold Gloves were given to the top fielders in Major League Baseball, instead of separate awards for the National and American Leagues; therefore, the winners are the same in each table. 1 2 "A-Rod breaks Vizquel's streak; AL West earns eight of nine". Sports Illustrated. Associated Press. November 13, 2002. Archived from the original on 9 January 2014. Retrieved May 26, 2009. 1 2 "Rawlings Gold Glove Award Finalists Announced" (Press release). Rawlings. October 25, 2013. Archived from the original on January 8, 2014. 1 2 "Rawlings to Unveil Ballot". Rawlings. February 13, 2007. Archived from the original on February 5, 2009. Retrieved June 4, 2009. Members of the original 1957 Rawlings Gold Glove Team: Willie Mays, CF (New York Giants); Al Kaline, RF (Detroit Tigers); Minnie Minoso, LF (Chicago White Sox); Frank Malzone, 3B (Boston Red Sox); Nellie Fox, 2B (Chicago White Sox); Gil Hodges, 1B (Dodgers); Roy McMillan, SS (Cincinnati Reds); Sherm Lollar C (Chicago White Sox); and Bobby Shantz, P (New York Yankees). ↑ Gillette, Gary; Palmer, Pete; Gammons, Peter (2007). The ESPN Baseball Encyclopedia, Fourth Edition. Sterling Publishing. p. 1770. ISBN 978-1-4027-4771-7. Retrieved January 19, 2012. 1 2 Connolly, Dan (November 1, 2011). "Orioles' Markakis and Wieters win Gold Gloves". The Baltimore Sun. Archived from the original on November 3, 2011. 1 2 Kurkjian, Tim (2007). Is this a Great Game, Or What?. Macmillan. pp. 218–219. ISBN 0-312-36223-4. ↑ Abraham, Peter (November 1, 2010). "Yadier Molina leads fifth annual "Fielding Bible Awards"". The Boston Globe. Retrieved November 10, 2010. These awards are far more accurate (and accountable) than the Gold Gloves in that statistics are employed along with the opinions of a large panel of experts. 1 2 Chuck, Bill (August 8, 2011). "Nation STATion: Playing the field". CSNNE.com. New England Cable News. Archived from the original on August 16, 2011. ↑ Baker, Geoff (November 1, 2010). "Mariners eye Durham, Datz for coaching positions; Ichiro wins Fielding Bible Award". The Seattle Times. Retrieved November 11, 2010. Unlike the Gold Glove awards, chosen by coaches and based largely on reputation, the Fielding Bible Awards are picked by a panel of experts relying heavily on new-wave statistical analysis for defense. ↑ "AL Gold Glove winners named". ESPN.com. Associated Press. November 10, 2010. Retrieved November 12, 2010. For years, some fans have viewed the Gold Gloves as mostly a popularity contest, even suggesting that a player's performance at the plate helped draw extra attention to his glove. ↑ Luft, Jacob (September 17, 2003). "Baseball's rubber stamp". Sports Illustrated. Retrieved June 5, 2009. ↑ Dierker, Larry (2006). My Team. Simon and Schuster. p. 13. ISBN 0-7432-7513-6. Retrieved June 5, 2009. ↑ McKelvey, G. Richard (2004). All bat, no glove: A history of the designated hitter. McFarland. p. 160. ISBN 0-7864-1944-X. Retrieved June 5, 2009. ↑ Kepner, Tyler (November 10, 2010). "Jeter's Gold Glove an Error, Metric Indicates". The New York Times. p. B19. Retrieved November 10, 2010. Jeter—like many players—dismisses defensive statistics as meaningless because of the many factors that cannot be quantified. ↑ Jaffe, Jeff (October 30, 2013). "Gold Gloves join the stat revolution and it's harder to quibble with the winners". Sports Illustrated. Archived from the original on October 11, 2014. ↑ Paine, Neal; Bialik, Carl (November 11, 2015). "The Gold Gloves Are Finally Going To The Best Fielders". FiveThirtyEight. Archived from the original on November 16, 2015. 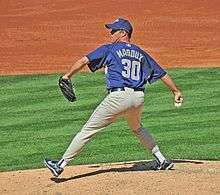 ↑ "Greg Maddux Statistics and History". Baseball-Reference.com. Retrieved June 4, 2009. ↑ "Brooks Robinson Statistics and History". Baseball-Reference.com. Retrieved June 4, 2009. ↑ "Jim Kaat Statistics and History". Baseball-Reference.com. Retrieved June 4, 2009. ↑ "Iván Rodríguez Statistics and History". Baseball-Reference.com. Retrieved June 4, 2009. ↑ "Ozzie Smith Statistics and History". Baseball-Reference.com. Retrieved June 4, 2009. ↑ "Roberto Clemente History and Statistics". Baseball-Reference.com. Retrieved June 4, 2009. 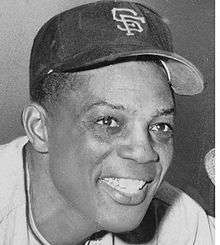 ↑ "Willie Mays Statistics and History". Baseball-Reference.com. Retrieved June 4, 2009. ↑ "Keith Hernandez Statistics and History". Baseball-Reference.com. Retrieved June 4, 2009. 1 2 "Roberto Alomar Statistics and History". Baseball-Reference.com. Retrieved June 4, 2009. ↑ "Omar Vizquel Statistics and History". Baseball-Reference.com. Retrieved June 4, 2009. ↑ "Johnny Bench Statistics and History". Baseball-Reference.com. Retrieved June 4, 2009. ↑ "Mike Schmidt Statistics and History". Baseball-Reference.com. Retrieved June 4, 2009. ↑ "Ken Griffey Statistics and History". Baseball-Reference.com. Retrieved June 4, 2009. ↑ "Ichiro Suzuki Statistics and History". Baseball-Reference.com. Retrieved November 10, 2010. ↑ "Andruw Jones Statistics and History". Baseball-Reference.com. Retrieved June 4, 2009. ↑ "Al Kaline Statistics and History". Baseball-Reference.com. Retrieved June 4, 2009. ↑ "Darin Erstad Statistics and History". Baseball-Reference.com. Retrieved June 4, 2009. ↑ Ladson, Bill (November 2, 2011). "Polanco's Gold Glove puts him in elite company". Phillies.MLB.com. Retrieved November 6, 2011. ↑ "Ken Boyer Statistics and History". Baseball-Reference.com. Retrieved June 24, 2009. ↑ "Clete Boyer Statistics and History". Baseball-Reference.com. Retrieved June 24, 2009. ↑ "Bengie Molina Statistics and History". Baseball-Reference.com. Retrieved April 26, 2010. ↑ "Yadier Molina Statistics and History". Baseball-Reference.com. Retrieved April 26, 2010. ↑ "Bobby Bonds Statistics and History". Baseball-Reference.com. Retrieved June 24, 2009. ↑ "Barry Bonds Statistics and History". Baseball-Reference.com. Retrieved June 24, 2009. ↑ "Bob Boone Statistics and History". Baseball-Reference.com. Retrieved June 24, 2009. ↑ "Bret Boone Statistics and History". Baseball-Reference.com. Retrieved June 24, 2009. ↑ "First-Ever Female Athlete to Win Rawlings Gold Glove Award®". PR Newswire. 11 August 2016. Retrieved 14 August 2016. ↑ Stier, Kit (February 20, 2007). "All-time Gold Glove team to be named". Major League Baseball. Retrieved May 26, 2009. ↑ "Fans to vote on all-time Gold Glove team". ESPN.com. Associated Press. February 19, 2009. Retrieved May 26, 2009. ↑ "Wes Parker surprise addition to all-time Rawlings Gold Glove team". ESPN.com. Associated Press. August 22, 2007. Retrieved May 26, 2009. ↑ Dickson, Paul (2009). The Dickson Baseball Dictionary (3 ed.). W. W. Norton and Company. p. 268. ISBN 978-0-393-06681-4. ↑ Curran, Mike; Newman, Ross & Lopez, Andy (2007). Coaching Baseball Successfully. Human Kinetics. p. 109. ISBN 978-0-7360-6520-7. ↑ "1959 Chicago White Sox Batting, Pitching, & Fielding Statistics". Baseball-Reference.com. Retrieved June 10, 2009. ↑ "1960 Chicago White Sox Batting, Pitching, & Fielding Statistics". Baseball-Reference.com. Retrieved June 10, 2009. ↑ "1966 Pittsburgh Pirates Batting, Pitching, & Fielding Statistics". Baseball-Reference.com. Retrieved June 10, 2009. ↑ "1967 Pittsburgh Pirates Batting, Pitching, & Fielding Statistics". Baseball-Reference.com. Retrieved June 10, 2009. ↑ "1967 California Angels Batting, Pitching, & Fielding Statistics". Baseball-Reference.com. Retrieved June 10, 2009. ↑ "1969 Baltimore Orioles Batting, Pitching, & Fielding Statistics". Baseball-Reference.com. Retrieved June 10, 2009. ↑ "1971 Baltimore Orioles Batting, Pitching, & Fielding Statistics". Baseball-Reference.com. Retrieved June 10, 2009. ↑ "1973 Baltimore Orioles Batting, Pitching, & Fielding Statistics". Baseball-Reference.com. Retrieved June 10, 2009. ↑ "1974 Baltimore Orioles Batting, Pitching, & Fielding Statistics". Baseball-Reference.com. Retrieved June 10, 2009. ↑ "1975 Baltimore Orioles Batting, Pitching, & Fielding Statistics". Baseball-Reference.com. Retrieved June 10, 2009. ↑ "1976 Baltimore Orioles Batting, Pitching, & Fielding Statistics". Baseball-Reference.com. Retrieved June 10, 2009. ↑ "1974 Cincinnati Reds Batting, Pitching, & Fielding Statistics". Baseball-Reference.com. Retrieved June 10, 2009. ↑ "1975 Cincinnati Reds Batting, Pitching, & Fielding Statistics". Baseball-Reference.com. Retrieved June 10, 2009. ↑ "1976 Cincinnati Reds Batting, Pitching, & Fielding Statistics". Baseball-Reference.com. Retrieved June 10, 2009. ↑ "1977 Cincinnati Reds Batting, Pitching, & Fielding Statistics". Baseball-Reference.com. Retrieved June 10, 2009. ↑ "1983 Detroit Tigers Batting, Pitching, & Fielding Statistics". Baseball-Reference.com. Retrieved June 10, 2009. ↑ "1984 Detroit Tigers Batting, Pitching, & Fielding Statistics". Baseball-Reference.com. Retrieved June 10, 2009. ↑ "1999 Cleveland Indians Batting, Pitching, & Fielding Statistics". Baseball-Reference.com. Retrieved June 10, 2009. ↑ "2000 Cleveland Indians Batting, Pitching, & Fielding Statistics". Baseball-Reference.com. Retrieved June 10, 2009. ↑ "2001 Cleveland Indians Batting, Pitching, & Fielding Statistics". Baseball-Reference.com. Retrieved June 10, 2009. ↑ "2002 St. Louis Cardinals Batting, Pitching, & Fielding Statistics". Baseball-Reference.com. Retrieved June 10, 2009. ↑ Stephens, Bailey (November 9, 2010). "Ichiro wins 10th straight Gold Glove". MLB.com. Retrieved November 9, 2010. ↑ "2016 San Francisco Giants Batting, Pitching, & Fielding Statistics". Baseball-Reference.com. Retrieved November 8, 2016. ↑ Stallings, Jack; Bennett, Bob (2003). Baseball strategies: American Baseball Coaches Association. American Baseball Coaches Association. Human Kinetics. p. 19. ISBN 0-7360-4218-0. ↑ "1962 Minnesota Twins Batting, Pitching, & Fielding Statistics". Baseball-Reference.com. Retrieved June 10, 2009. ↑ "1985 Pittsburgh Batting, Pitching, & Fielding Statistics". Baseball-Reference.com. Retrieved June 10, 2009. ↑ "1989 Kansas City Royals Batting, Pitching, & Fielding Statistics". Baseball-Reference.com. Retrieved June 10, 2009. ↑ "2000 Texas Rangers Batting, Pitching, & Fielding Statistics". Baseball-Reference.com. Retrieved June 10, 2009. 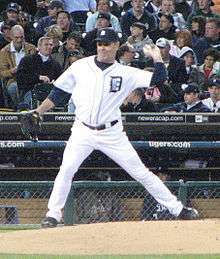 ↑ "2006 Detroit Tigers Batting, Pitching, & Fielding Statistics". Baseball-Reference.com. Retrieved June 10, 2009. ↑ "2009 St. Louis Cardinals Batting, Pitching, & Fielding Statistics". Baseball-Reference.com. Retrieved June 10, 2009. ↑ "2013 St. Louis Cardinals Batting, Pitching, & Fielding Statistics". Baseball-Reference.com. Retrieved October 29, 2013. ↑ "Platinum Glove Award". BaseballAlmanac. March 25, 2013. Retrieved 2013-11-04.